Huangpu Theater, a modern design with Chinese elements, was the product of China’s first generation of architects. It opened in 1934 as the Lyric Theater and was where the Chinese national anthem was first played as the theme song of a Chinese movie. 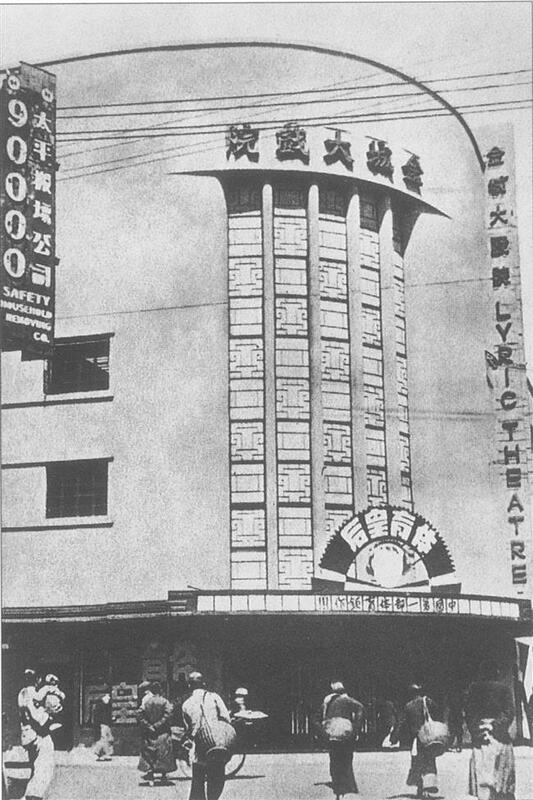 On the corner of Beijing and Guizhou roads, the theater was a motion picture house acclaimed for its ultra-modern design at the time. 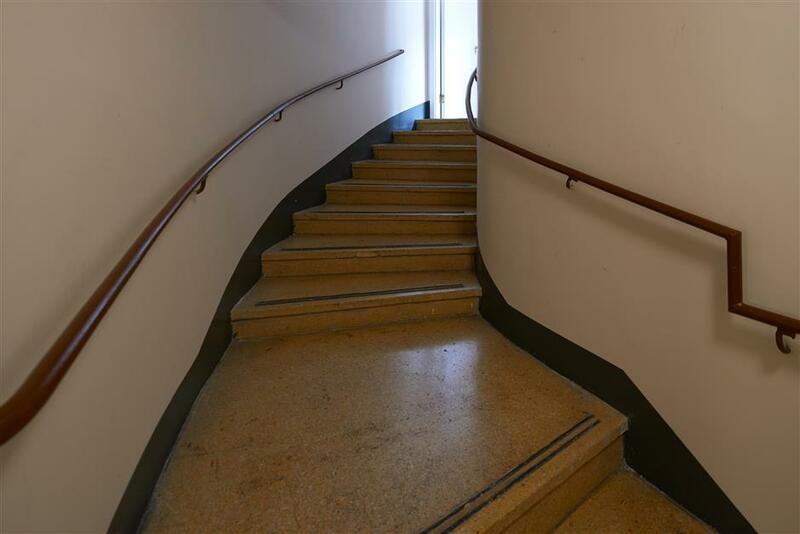 It was the work of Allied Architects, a firm of three Chinese architects, all of whom had studied architecture at Pennsylvania University in the United States. Tong Ming, who is curating an upcoming exhibition about the architects who returned from Pennsylvania University, says the Chinese architects learned how to design an elegant building on an imperfect site during their studies in the US. 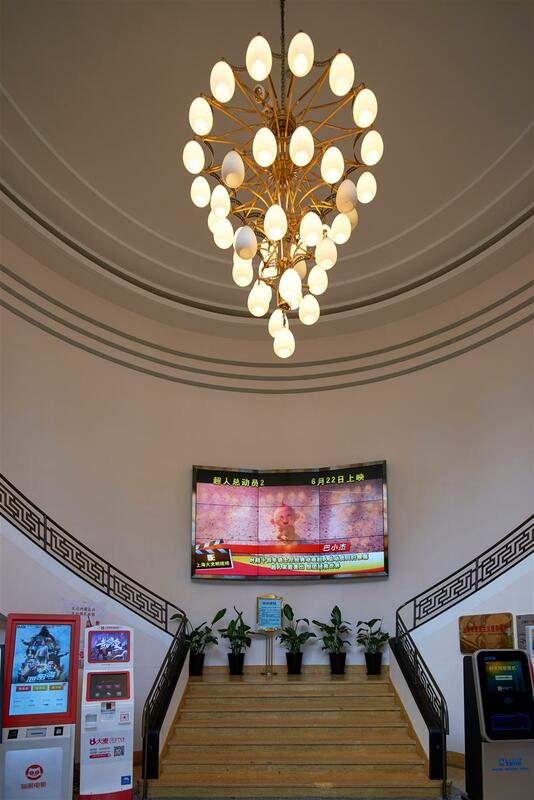 “Modern architectural elements are everywhere inside and out of the Lyric Theater, from the neat, grand facade to decorative details with Chinese symbols. This was a unique style created by this generation of Chinese architects who merged Chinese elements with granite, monumental facades and new functions of a building. As a result, the Lyric Theater was no longer a classic building with Roman orders, but a very modern, urban building which had been taken into consideration with the urban site and its surrounding environment,” he says. Similar methods were employed on a galaxy of buildings at the time, such as the Bank of China on the Bund and the Sun Co building on Nanjing Road E.
According to the China Press report, the facade of the Lyric Theater was made of five glass columns and illuminated by neon lights. The theater was capable of accommodating 1,800 people. Every seat from the first row in the stalls to the last in the balcony commanded a perfect view of the screen. Each seat was upholstered and placed so that cramping was avoided and freedom of movement assured. The quality of the sound equipment was so remarkable, the report said, that it gave the audience a life-like feel with distinguishing characteristics that lent quality and personality to different voices. The facade of the theater features five glass columns. 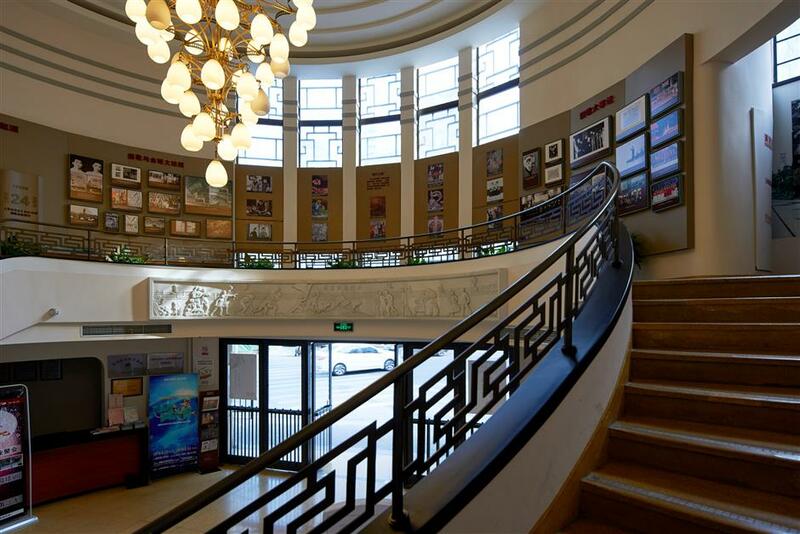 Invested by Chinese merchants, the Lyric Theater specialized in showing Chinese motion pictures. The inaugural program was “Life” starring actress Ruan Lingyu. On May 24, 1935, “Children of the Clouds” had its premiere at the theater and its theme song, “March of the Volunteers,” later became the Chinese national anthem. Sadly, the talented young composer Nie Er died only months later in an accident in Japan at the age of 23. His memorial service was held in the Lyric Theater. After 1949, the theater specialized in staging Huaiju Opera, a local opera originated in Jiangsu Province that was popular in Shanghai at the time. 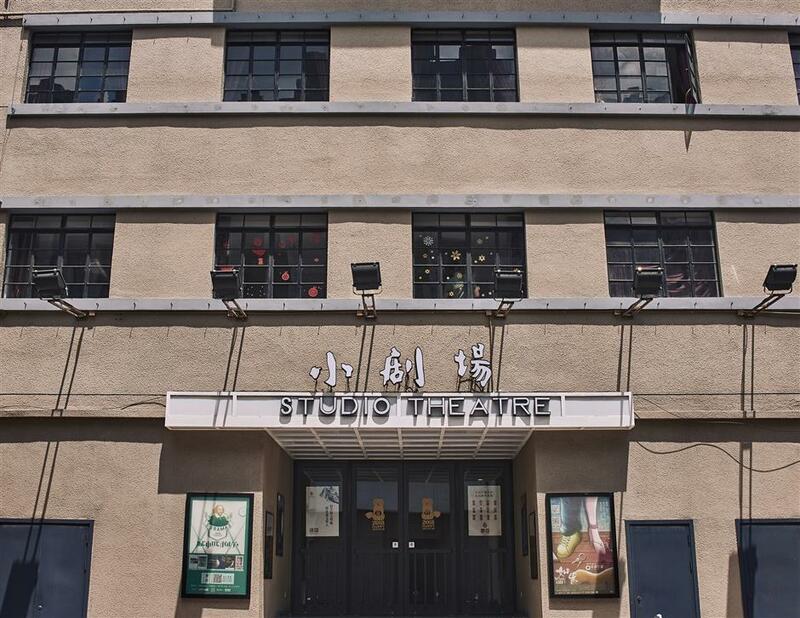 In 1957 the Lyric Theater was renamed Huangpu Theater by then Premier Zhou Enlai. 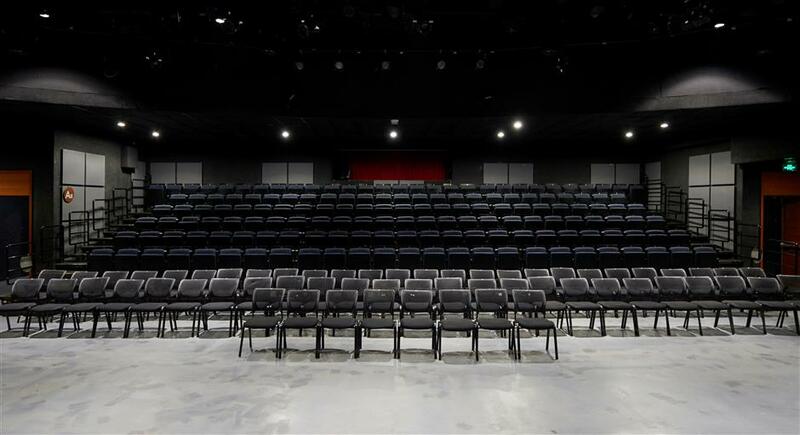 “The theater underwent a renovation in 2016 which preserved the facade and historical details but divided the original auditorium into two smaller theaters to suit new performances such as small-scale dramas, musicals and children’s dramas. Our shows of Western contemporary dramas were very popular among young audiences,” says James Mao, the theater’s deputy general manager. In a recent lecture on modern Chinese architects, another Tongji University professor, Zheng Shiling, noted that many of Shanghai’s historic buildings were the works of China’s remarkable first generation of architects. The theater's interior features many curves and Chinese elements. Examples include The Paramount dance hall by Yang Xiliu, the Majestic Theater by Fan Wenzhao and the Shanghai Concert Hall by Fan Wenzhao and Zhao Shen. He notes that traditionally the profession of “architect” did not exist in China, but only craftsman. However, things changed after the first generation of Chinese who studied architecture overseas returned after 1910, and a building boom started after that. The city was undergoing massive architectural changes as more people poured into the “Paris of the East,” and places for living, working and entertainment were built at an amazing speed. When Chinese students returned with overseas architectural degrees, they joined foreign architectural enterprises or later opened their own companies. There were also Chinese architects who received training at home and designed excellent buildings like the Great World amusement center at the People’s Square. “The work of Chinese architects has been undervalued and lesser known to the public compared with foreign architects like Park Hotel designer Laszlo Hudec,” says Zheng who serves as city government’s top expert for architectural preservation. 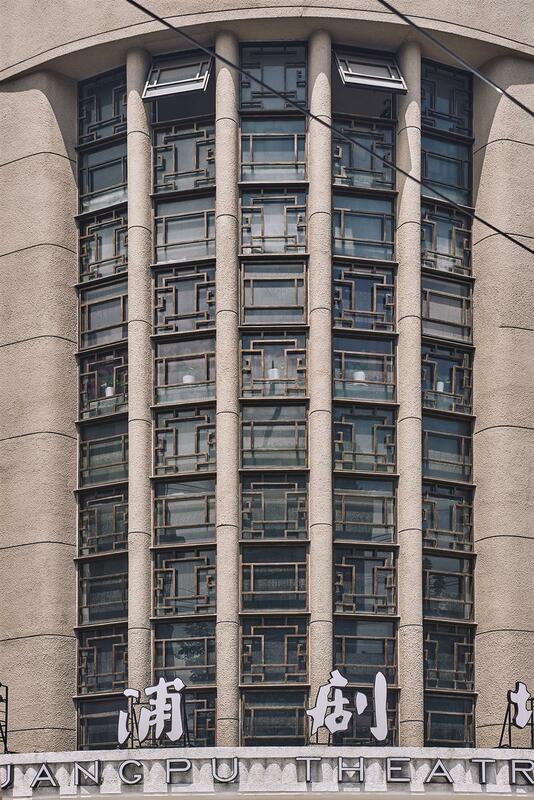 “Among them, Allied Architects was a very important architectural firm in modern Shanghai. 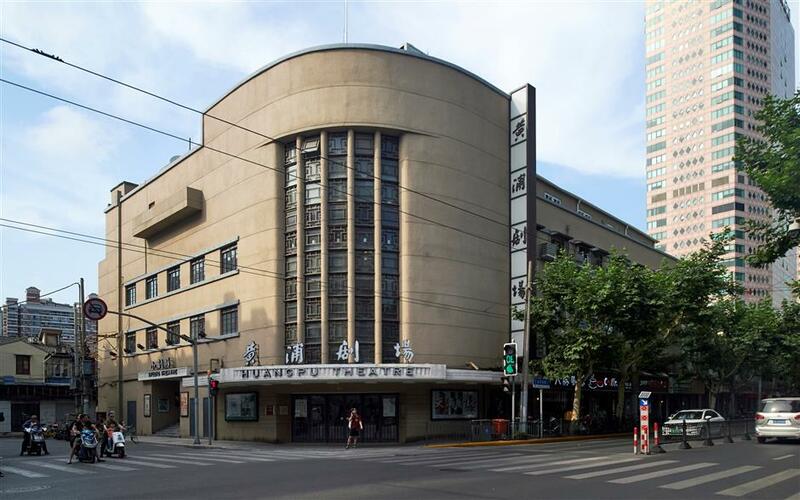 Their works, including the Lyric Theater, the Metropole Theater of Shanghai and the Mercantile Bank, were all very modern. They focused on well-proportioned modern design,” he says. August 18 marks the opening of Tong’s exhibition displaying the life and work of these lesser-known Chinese architects, including his grandfather. “Some of them created classic buildings when they just returned from overseas but later they all switched to modern style. From their works and academic papers during the 1930s, I found they were keeping up with international trends and were extremely advanced and open-minded. Their pursuit of modernity was not occasional,” Tong says. “It occurred early last century when the whole world was transforming to modern society and modern metropolitan. That’s why so many stories were happening in Shanghai during that era,” he says. The exhibition, entitled “The rise of modernity,” will feature his grandfather and Huangpu Theater. 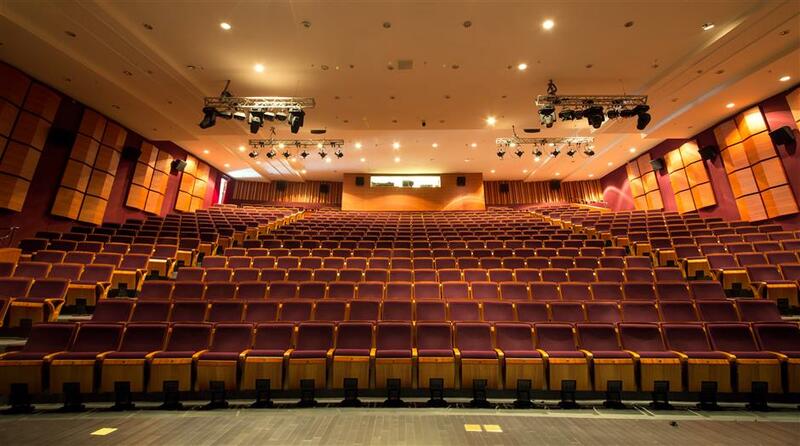 Address: 780 Beijing Road E.
Tips: The theater is open to the public. Admire the facade and the Chinese decorative details inside. The original auditorium has been divided into two smaller theaters to suit new performances.